The saying that “when two elephants fight, it’s the grass that suffer” is very true in the case of the current raging battle between publishers and Amazon.com, Inc. (NASDAQ:AMZN), the world’s largest eBook seller. A number of authors have come forward complaining that Amazon.com, Inc. (NASDAQ:AMZN) is using them against their will in its negotiations with publishers. The online retail shop has also acknowledged doing that. As a tactical approach to the developments that would also see Amazon cap eBook prices, two publishers, Hachette Book Group and Bonnier, have taken the battle a notch higher, saying that Amazon makes it difficult for publishers to sell books that should generally sell at higher prices. 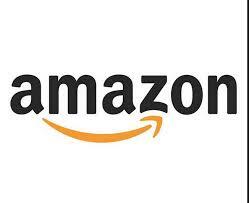 A separate article reveals that Hachette has more publishers on its side in the Hachette vs. Amazon battle. In the said battle, Amazon.com, Inc. (NASDAQ:AMZN) is said to be negotiating with publishers in order to accept much lower prices for their electronic books sold on the retail platform. In as much as Amazon accepts that there are definitely some eBooks that should sell at higher prices, the retailer says that most eBooks perform best at $9.99. With such statements coming from a market leader, it gets to the ears of the readers, which could be good news to them, but to the authors and publishers, it isn’t such a sweet thing. says Roxana Robinson, Author’s Guild president. She goes ahead to say that Amazon.com, Inc. (NASDAQ:AMZN) has never released the methodology that it used to come up with the $9.99 figure thus making it somewhat unjustifiable. Many publishers prefer negotiating for specific price ranges for their eBooks before releasing them to the market. Some of the authors like that their eBooks be priced higher than those of most eBooks in the same shops. If Amazon goes ahead to cap prices for eBooks, such publishers won’t be allowed to negotiate for higher prices. Even though Amazon declined to comment, it’s believed that they’ll most likely have some room for price negotiation for quite exceptional titles. Some authors, including Jim C. Hines have said that they haven’t experienced a case where Amazon unilaterally reduced prices of their eBooks. Authors who would like to deal with Amazon directly are also provided with a means to do so through its Kindle Direct Publishing system.